(Video) What is a Periodontist, Anyway? You may have a disease. While your last general check up may have shown good biometric numbers, it’s possible you have a lurking disease invisible to all but the trained eye. According to the CDC, almost 50% of the adult population has some form of periodontal disease, and many don’t know it. If you’re like most dental patients, you likely have never heard of periodontal disease, let alone a periodontist. You may be asking yourself some of the following questions…. Could I really have this disease and not know it? Why is specialized care necessary? Researching the simple question “What is a periodontist?” online may just produce more confusion. We seek to simplify it for you. The American Academy of Periodontology defines a periodontist as “a dentist who specializes in the prevention, diagnosis, and treatment of periodontal disease, and in the placement of dental implants.” Periodontists also treat any form of oral inflammation. Periodontists receive 3 extra years of schooling beyond dental school in order to best treat all gum and root issues. They are specialists trained to handle any problems involving the surrounding tissue of your teeth. Periodontal disease is the infection of the structures around the teeth. While most often one thinks of the gums when talking about periodontal disease, the infection can actually affect much more than just the gums. In more serious cases, infection can be found in the surface of the root, the ligament and the bone. The cause of periodontal disease is bacteria in dental plaque. Plaque contributes to the deterioration of your gums, leading to inflamed and sensitive gums, a sign of gingivitis, and even infection and loose teeth in the advanced stages of periodontal disease, known as periodontitis. If these problems are caught in the early stage of development, they can often be reversed with proper oral care at home as well as more frequent visits to the dentist or periodontist utilizing soft tissue management techniques (scaling, root planing, and antibacterial rinses). However, individuals often wait too long to seek help from a specialized periodontal dentist, and their teeth may have undergone extensive damage, resulting in surgery and reconstructive work. Studies also show a connection between periodontal disease and a greater risk of various life-threatening diseases such as heart disease, stroke, and diabetes. Sounds like my dentist could handle that. Why go to a periodontist? Remember that a periodontal dentist has received 3 extra years of schooling focused on handling the very issues you are coping with. The periodontal cases they see on a day to day basis provide a solid foundation of observation, knowledge, and experience. They know the warning signs well and are equipped with the proper education and training to deliver appropriate treatment. Periodontists also know what extensive procedures are possible in order to stop periodontal disease at all stages. So where can I find a Periodontist near me? Sometimes it may be difficult to find such a specialized dentist in your area. But you’re in luck. Penn Dental Medicine provides periodontal treatment to the greater Philadelphia area. And here’s the good news! 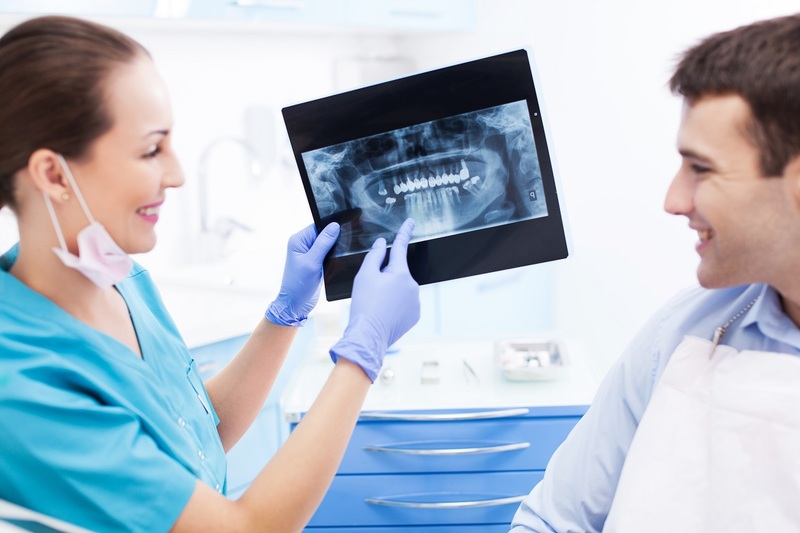 At Penn Dental Medicine, you will receive high quality treatment at a discounted price. We provide top-quality dental care through University of Pennsylvania’s School of Dental Medicine. Our student doctors are being guided and trained by the best dentists in the nation. As a patient of Penn Dental, you are one step away from receiving care from the nation’s top dental professionals. Is it time for you to see a periodontist? Get to Know Your Periodontist Today!